This charming resort allows for larger families or parties up to 20 people, to spend a relaxing holiday. A 10x6m swimming pool in the center of the estate, and playgrounds for badminton, darts or petanque, giving plenty of opportunities for children to play together. A fully equipped kitchen and a terrace with BBQ for breakfast and dining in style. The Summer resort is situated near the Serra da Estrela (for nature) and not far from Coimbra (for culture). Each room has a double bed and bunk bed for a total of 4 persons, and an extra bed or baby bed can be added easily. The ensuite bathrooms have shower and toilet. Each room has a large private terrace with a fantastic view of the mountains and the picturesque villages. The resort has free WiFi internet connection and all spaces are on the ground floor. Due to the steps the resort is not suitable for wheel chairs. In every room there is an elaborate folder with lots of information about the surroundings. There is also a large room with books, various games, a washing machine and also free Wi-Fi. The resort is situated on the outskirts of Coja, a nice village where you can find several bars, restaurants and all sorts of shops. In the center of Coja there is a big terrace where you can have a drink, relax and enjoy Portuguese hospitality. Come and relax in wonderful surroundings and in a beautiful holiday resort owned by a Belgian family. No mass tourism but the quiet enjoyment of the true Portugal with the splendor of the mountains and the tranquility or murmuring streams. Prices can be modified according to number of persons visited or number of bedrooms occupied. This charming Summer House is situated in the Ava river valley, on a hill with splendid views on the Serra da Estrela mountain tops. The area offers a lot of interesting activities like hiking in the Nature Parks of the Serra de Estrella, visiting the UNESCO World Heritage site or Piodão or the Oldest University of Europe in Coimbra, kayaking the Mondego river or relaxing on the Ava river beaches in Coja and Avo. 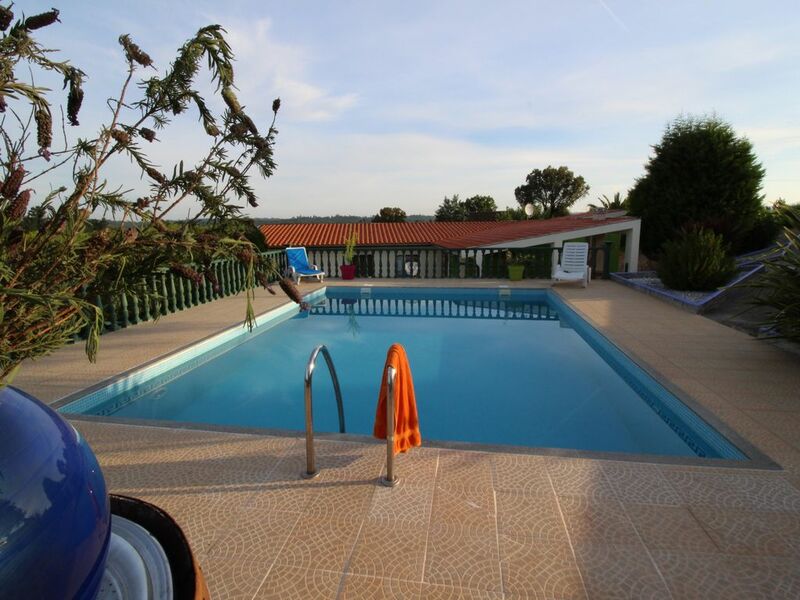 The Summer House guests can relax around a 10x8 swimming pool.